A crucial key to making great choices for your car or truck is to find a dedicated mechanic and stick to him. 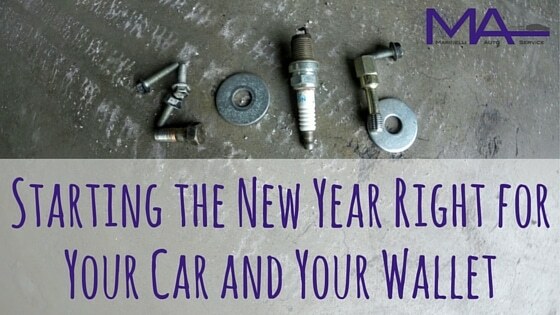 You see me write often about finding “your” shop and building a relationship with your mechanic. Listen for keywords like “quality” and “fair” over “quick” and “cheap.” The adage, “You get what you pay for” is generally true in automotive mechanics. Getting a thorough inspection of your car will lay the groundwork for knowing what choices you have to make. This is especially important if you drive an older car or a car with one or more previous owners. This gives your mechanic a chance to really familiarize him or herself with your vehicle. He can then layout repair, maintenance, and further diagnostic needs in order of urgency for everything from regular maintenance to brakes and suspension, engine and beyond. Then, together you can make a plan that fits within your budget of what work you will approve now and what you will do later. Procrastinating on regular oil changes can significantly decrease the lifespan of your vehicle’s engine. Running the oil past its useful lifespan, or the filter past it capacity to store debris, will allow moving parts in the engine to wear prematurely. This could be the difference between the engine lasting 150,000 miles and 300,000 miles, for example. If your vehicle doesn’t have an oil-life monitor, we recommend you ask your mechanic to advise you on a proper oil change interval for your car or truck. Factory intervals can range from 3,000-10,000 miles, but this depends greatly on the type of vehicle you drive, the oil it requires, and your driving conditions. Step 4 – Don’t Forget, All Fluids Serve a Purpose. Since you are already asking your mechanic for advice on the appropriate oil change interval for your car, ask him to determine a schedule for your other fluids as well. The power steering fluid, transmission fluid, coolant, and windshield wiper fluids are also important. They may need to be replaced or just topped off and in some cases, proactive fluid maintenance can help prevent future problems. Your mechanic should be periodically checking your oil level and tire pressures, but you need to be mindful of these things in those months between visits to the shop. If there is a problem, discovering it unexpectedly usually means the problem started far beforehand. Oil starts saturating the motor long before gravity leaves it on your driveway. Frequent low tire pressure may indicate a slow leak that, if not repaired, could leave you with a flat on the side of the road. Whether you have already completed some of these steps or are just getting started, the decision to make good choices for your vehicle can have a great impact on your life this year. Finding a mechanic who will give you a complete picture of your vehicle is a worthy investment. Being diligent about planning maintenance and repairs will surely lessen your stress so you can enjoy the rest of what the new year will bring.